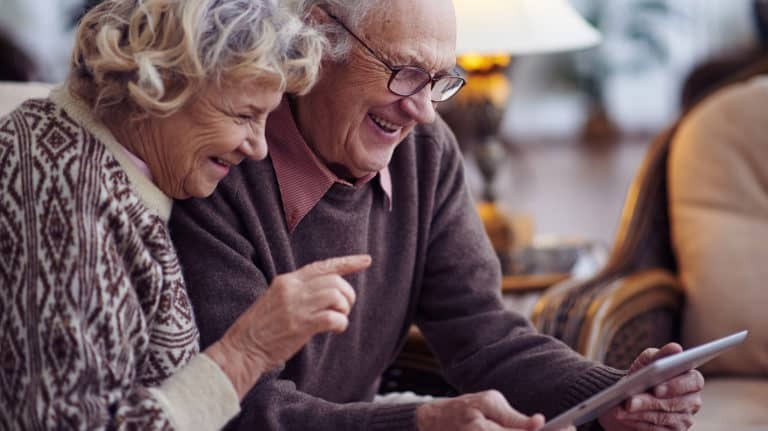 At Heart ‘n Home, we set our standards high so that we can grow as individuals, but also so that we can offer exceptional care to our patients through the benefits of technology. We have chosen 10 Family Core Values that matter most to us and we strive to emulate each of those values every day, every time. These values give us a sense of purpose and add meaning to our work. One of our ten Family Core Values is “Embrace Innovation.” What does that mean? Embracing innovation is about embracing change, making constant improvements both inside and out, learning and growing, and seeking new and improved ways to do things. If we never change, we will never grow! Learning helps keep our minds fresh, keeps ideas from getting stale, and helps us provide the best possible care to our patients and their families. One department within Heart ‘n Home who constantly strives to embrace innovation is our IT team (Information and Technology). They help us stay abreast of the latest technology allowing us to serve our patients efficiently while maintaining the strictest privacy. To quote Steward Brand, “Once a new technology rolls over you, if you’re not part of the steamroller, you’re part of the road.” It is a singular truth that the world we live in will continue to change, with or without us. Change is often hard for people, but at Heart ‘n Home, we know that we cannot improve without it. After we adapt to change, we can see that things are better now that we have the new tools. New tools can help us do that, can help us find ways to do more with less time and effort so we can use that focus for the people under our care. We replaced our messaging program with one that is compatible on all of our devices. This program is also HIPAA compliant which has allowed for better communication between staff; therefore, improving continuity in patient care. We have moved removed landline phones to (VOIP) or internet phones, this allows for intercommunication from office to office with simple 3-digit extensions. This allows for faster communication and growth capacity. We also moved to a new electronic medical record system that allowed us to move from a central server that was limited in growth for the company to one that is cloud-based and allowing for unlimited growth. This also allows for a more accurate point of care charting and real-time data transfer. Another exciting thing that is happening with our IT Department in the near future, is the implementation of a new IT internship with local high schools. The goal of the program is to help grow local talent in the community and give students the chance to experience what it is like working in IT. The IT interns will be assisting our IT Department with daily tasks such as troubleshooting computer issues and helping our staff with their technology. In addition to gaining experience, the interns will be able to put this on their resume and use Heart ‘n Home as a reference for future schooling or jobs. Better patient care is the goal of these changes. Like all change, there are challenges and education for the implementation and best practices in their use, but once it is embraced we can achieve great things. Ultimately what this all comes down to is that our staff, from our Nursing staff to IT, embrace innovation so that we will be relevant in the future, on the cutting edge of cares, yet timeless in how we love and care for our patients and families.